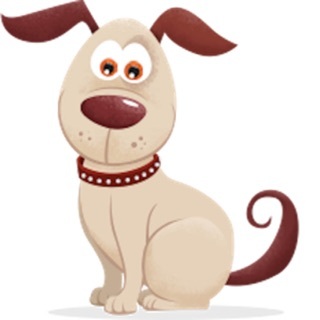 Barkly Pets is the smart way to find a reliable, background-checked, and trained local dog walker. We specialize in scheduled, daily walks to bring you the same dog walker every day. Our walkers become trusted, extended members of your family and are as loyal as your best friend. Barkly Pets has been featured in The Wall Street Journal, NBC News, The Washington Post, Cheddar, and the Washingtonian. We have been recognized by industry leader Purina as their Pet Care Innovation Prize Grand Champion." This version introduces more preferences for booking walks as well as other minor updates and bug fixes. I have had an excellent experience walking dogs in DC with Barkly Pets' convenient on-demand dog walking app over the last 1 year. As a walker, I have always felt welcomed to share any feedback and suggest ways to improve customer experience and I can attest that I have always been heard. I particularly appreciate that their team has rolled out several useful features in their mobile application not just for the customers but also for the walkers, which has made it easy for the walkers to manage client relationships and keep the pets as well as the customers happy! This really is what matters the most. A special mention about their transparency in sharing details of the walks and payments which just makes it easier to trust the team and the process. If you are considering walking dogs with a company that is growing fast(=more business!) then Barkly Pets is simply the best out there. And if you are looking to hire a dog walker/cat sitter, Barkly Pets will always have the most cheerful, enthusiastic and pet loving walker/sitter available for you when you need one. Barkly services are one of the most remarkable easy going, dog walking experiences to have for your pet! It was simple to set up on the app. It felt safe with the walker giving their photo ID to concierge (especially with me being able to share a name and photo of the walker beforehand with concierge, so that they knew who to expect). All of the walkers were exceptional with their feedback, tracking their walks with my pet, sending pictures, and loving my pet as I do! I can tell the Barkly walkers really do have a big heart for animals! There was a small snafu with one of the walkers not showing up but the owner swiftly sent another walker immediately, refunded the amount, and gave me credit for an additional walk. The owner did all of this without me being upset or irate; there was just a genuine concern for my pet. This incident showed me how much commitment this company has for providing its exceptional services!